A Canadian tourist was killed Wednesday off Cabo San Lucas, Mexico, after a breaching whale landed on the boat she was aboard as it was returning from a snorkeling trip in the Sea of Cortez. Several other passengers were injured during the freak accident, which occurred at about noon, as the inflatable boat was returning from Santa Maria Bay, a popular dive spot near Baja California’s tip. Details were scarce late Wednesday but the victim has been identified as Jeniffer Karren, 35, of Calgary. Six other passengers were hurt. Karren, from Calgary, died while being treated at a nearby clinic. A gray whale was initially said to have been involved, but it was later confirmed that it was a humpback whale. 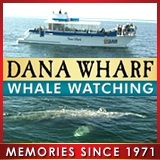 Whales sometimes breach but are usually aware of the presence of nearby boats, especially if the boats are running.